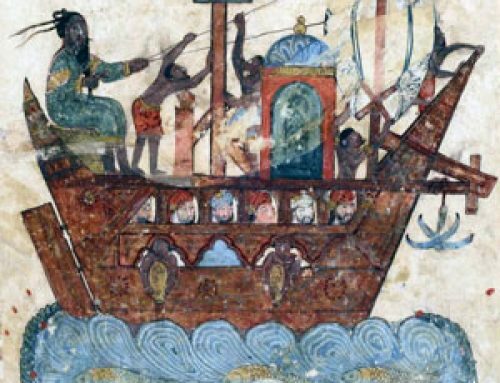 In the 700s AD, the Islamic Empire conquered North Africa and began to trade a lot with East Africa. Islamic government did not allow women to work in science or medicine. 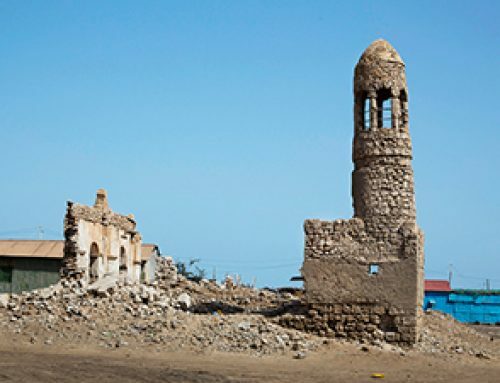 But there were a lot of men in North Africa and East Africa, and in the area around Timbuktu, who worked as scientists and doctors between 700 and 1500 AD. Thanks to their common religion, Islam, all of these men were able to communicate in Arabic. So they could find out about new treatments and ideas. And they frequently travelled to visit each other in Africa. 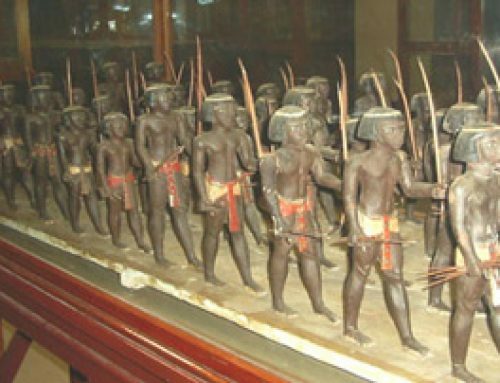 African scientists went to West Asia and India and even sometimes to China to find out more about the world. 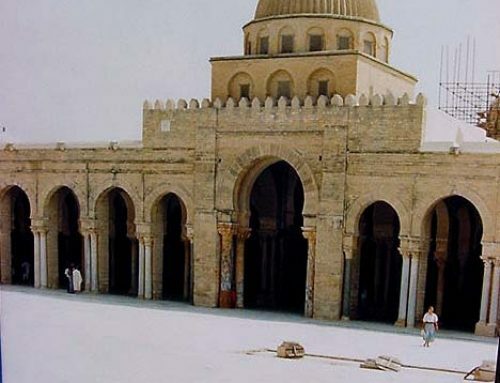 Al Jazzar was a doctor in Kairouan about 950 AD, under Fatimid rule. He wrote a medical textbook describing different diseases and how to treat them. 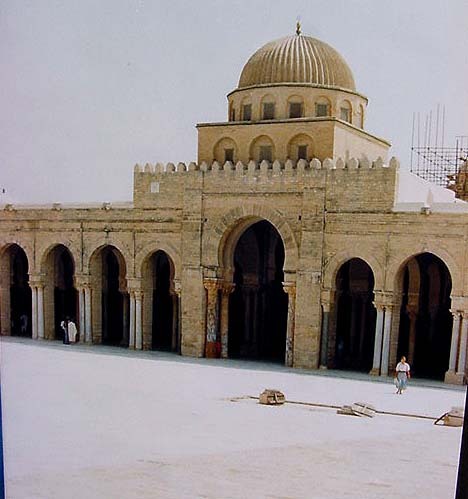 Ibn Ridwan, an Islamic African astronomer, also worked in Kairouan just a little later. He left us the best description of a great supernova, first observed in 1006 AD. Another Islamic African scientist was Ibn Bajjah, who worked in Morocco in the 1100s AD under the Almohads. Ibn Bajjah wrote a book about sexual reproduction of plants, which later influenced Ibn Rushd. 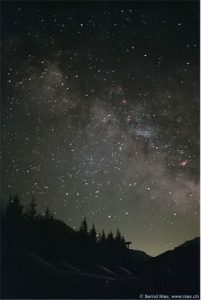 Ibn Bajjah also saw that the Milky Way was made up of thousands of stars close together, and he made contributions to the development of the laws of motion. About this time – the 1100s AD – people in West Africa were starting to make their own glass, and to form it into glass beads. 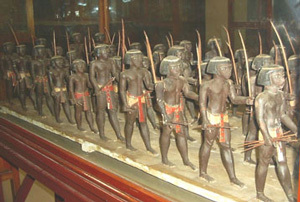 They were also making bronze, brass, and iron. 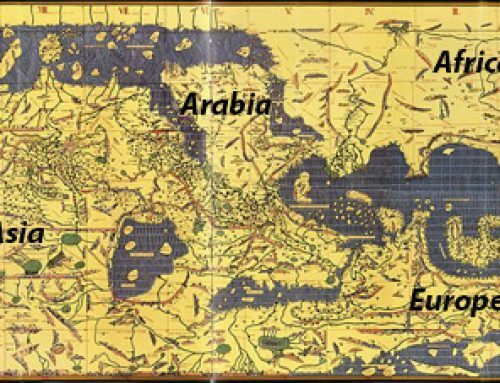 About the same time, and also from Morocco, al Idrisi created an up to date map of the known world (Europe, Asia, and North Africa), and wrote an account of some Almohad explorers who sailed west on the Atlantic ocean perhaps as far as the Sargasso Sea (but still a thousand miles from North America). About 1300 AD, under the rule of the Marinids, the mathematician al-Banna did some work figuring out how to write down algebra problems, and some work on fractions. Around the same time (or maybe earlier), East African doctors learned from Indian doctors to grow and use marijuana, possibly inventing the water pipe to smoke it in. They probably also began to use opium as a medicine. In South Africa and Central Africa, people didn’t have so much contact with other places, and here women kept on being involved with science and medicine. Among the San, for instance, both women and men learned to identify hundreds of plants that they could use for medicine. 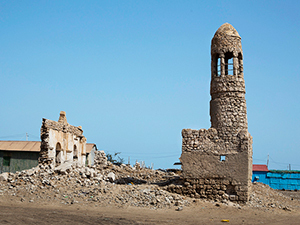 Did you find out what you wanted to know about medieval African science? Let us know in the comments! Cite this page: Carr, K.E. 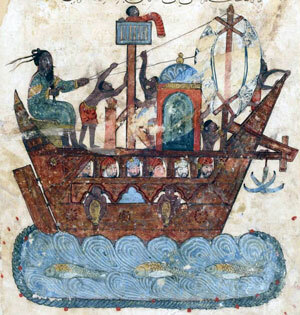 Science in Islamic Africa – medieval African science. Quatr.us Study Guides, October 3, 2017. Web. April 18, 2019.